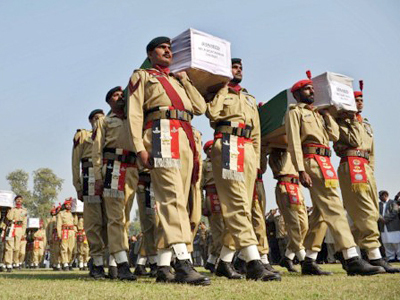 More fuel to the fire was added to US-Pakistani relations on Monday after Pakistan’s interior minister said the country was closing its border with Afghanistan following a US-led air strike that killed 24 Pakistani soldiers. Pakistan had already closed the border to trucks supplying American troops in Afghanistan in response to the air strike, but there were no indications that the shutdown would be permanent. It also told the US to vacate an airbase on its soil. Since then NATO has been coming up with excuses and saying it will investigate the “tragic and unintended” incident. 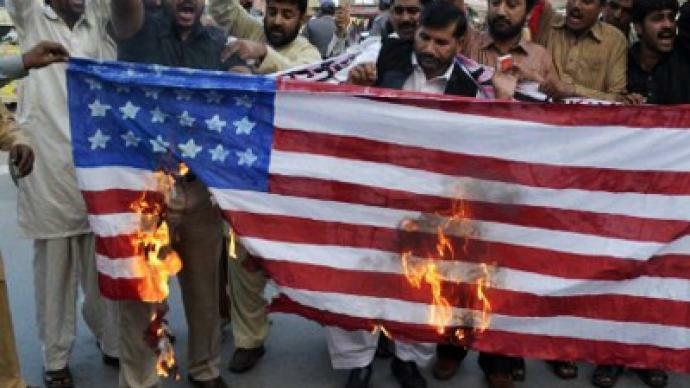 Earlier on Monday, a Pakistani military spokesman said that the US-led action continued despite a plea from Pakistani military commanders to stop it. Also on Monday, an angry group of Islamist protesters took to the streets of Karachi to call on the government to break its alliance with the West. “Whoever is a friend to America is a traitor to the land” they chanted. However, there is evidence pointing to the fact the incident was not an accident – from both sides. 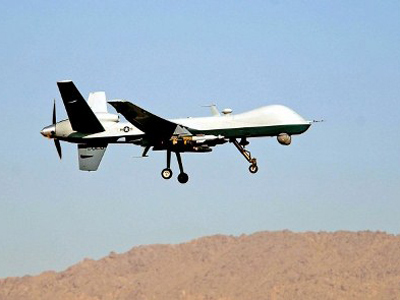 US media are quoting an unnamed Afghan intelligence source that is saying the air strikes were initiated only after a group of Afghan commandos and US Special Forces were fired upon from the Pakistani side of the border. A Pakistani army spokesman denied this, saying there were no casualties on the American side to suggest Pakistan started the incident. In an interview with RT, Welsh author Phil Rees, who is a specialist on the subject of terrorism, expressed his belief that it was Pakistan or a militant group allied to Islamabad that started the skirmish. "We’re talking about links to the Pakistani army, it’s in their interest to provoke a firefight because, let’s remember, the interests of NATO and the interests of Pakistan are fundamentally different in this region. And therefore you’ve got an uneasy alliance that’s been together for over a decade, but really the end goals of both groups are different". He went on to say that Pakistan wants to have a force similar to the Taliban (namely, Pashtun-based) controlling Afghanistan once the US leaves the war-torn country in 2014. He believes the US is bound to fail and that “the Taliban are going to return as the most political force once the West is gone.” Pakistan, in his view, wants to be pulling some of the strings of the new government, which “won’t be anything like that which the West had hoped [for] when it entered Afghanistan in 2001”. The latest bout of violence is not the first time the armies of the United States and Pakistan have come into direct confrontation. 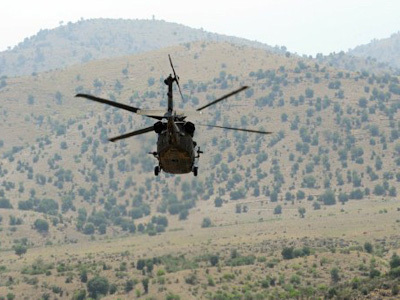 Last year two Pakistani soldiers were gunned down by a US helicopter near the troubled Afghan-Pakistani border after Pakistani troops opened fire on American helicopters. Relations soured further after the US conducted a covert operation near the Pakistani capital of Islamabad to kill Osama Bin Laden without informing Pakistan. “But nevertheless the popular rage is something very important to consider,” he admits. “People in NATO and also in the Pakistani government should be looking to the Arab Spring to see examples of where at a certain point, no matter how powerful the government and the armed forces are, the people will have a say,” Giraldi concluded.